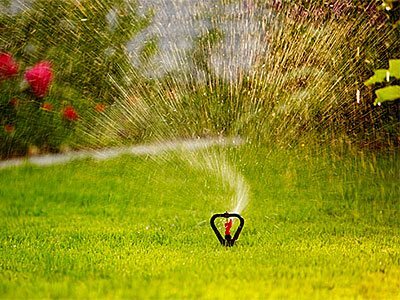 Unlimited Landscape Hawaii LLC is capable of installing highly efficient sprinklers and irrigation systems in your property. Our designs can effectively reduce your water consumption by as much as sixty percent compared to traditional watering systems. For lawns, we recommend automated sprinkler systems. An automated sprinkler system can be setup on a set-and-forget manner, so you can focus more on taking care of other landscape amenities. It will function at specific times of the day, so your plants, flowers, and turf will get their much needed nourishment at the right time. We also suggest drip type irrigation for properties with shrubs and trees. This type is not only convenient and time-saving, but also a cost-effective system. Drip irrigation consumes less water than other types of watering methods (like flood irrigation). This type of irrigation targets the root system of the plants, so it helps reduce water consumption and fertilizer application. The substantial level of moisture in the soil will help your plantings produce greener foliage. Unlimited Landscape Hawaii LLC uses top-of-the-line irrigation products - from sprinkler nozzles and rotors to sensors and controllers. Some of the brands that we use on our installation projects are RainBird, Hunter, and Toro. We never compromise on quality since the efficiency and optimal function of your irrigation highly depends on the quality of each component. We also utilize the right set of tools, such as wrenches, gauge assemblies, and valves, to correctly configure your sprinklers and irrigation systems. Contact us now at (808) 726-9495!